Pisenti & Brinker LLP employs many high qualified and dedicated certified public accountants Novato. We are proud to be a respected local name in CPA accounting. If you have a business that is expanding, in transition, or otherwise in need of professional accounting services, please contact us to discuss your needs and goals today. Many of our clients have expressed to us that as soon as they think they have gotten a handle on the complexities of the tax codes that pertain to our business, they change again. Not only is this frustrating, it can overburden innovators and job providers who have many other ways they could be spending their time. This is where an accounting firm such as Pisenti & Brinker LLP can be beneficial and cost effective for even the smallest business. Finances and taxes are what we do. That means that we know the tax code inside and out, and can use our knowledge to benefit all our clients. Our certified public accountants have helped many clients in the Novato area and beyond. While many growing and innovative businesses are hesitant to take on the additional expense of professional accounting services, we can be much more efficient with our time, leaving your employees to do what they do best, helping your business grow and thrive. Trusting this part of your business to a qualified outside firm partner can pay off big in growth and employee satisfaction. 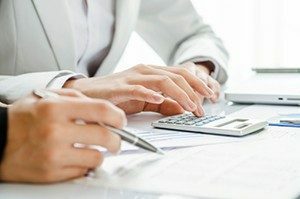 Call us today for your free consultation to see if professional CPA accounting is the right choice for your enterprise.